in Italy, France, and Canada and now makes his home in Brooklyn, New York. The four designs in Arbore, our inaugural lighting collection, are hand-cast in translucent, tinted resin from molds made from trees sourced in Brooklyn. Each finished product, with its subtle variations, is unique. 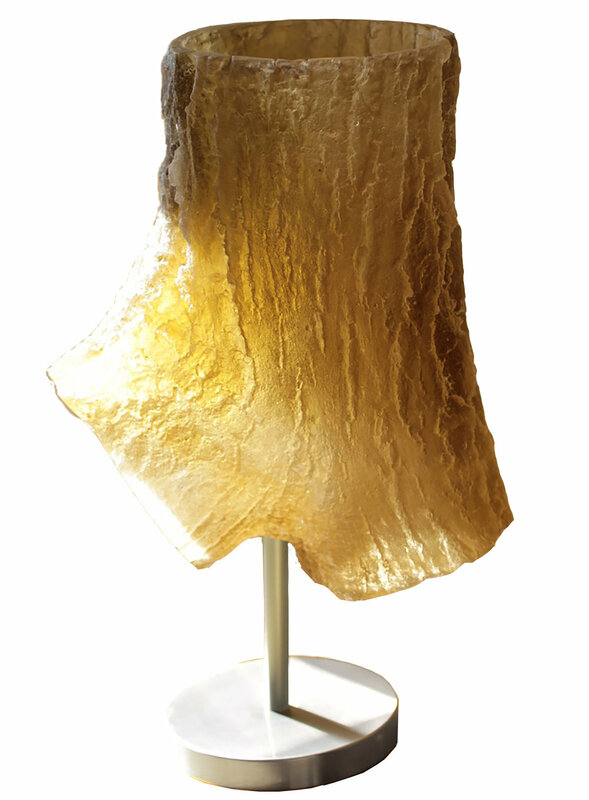 The richly textured surfaces capture light even when the lamps are off; when on, they glow like jewels.